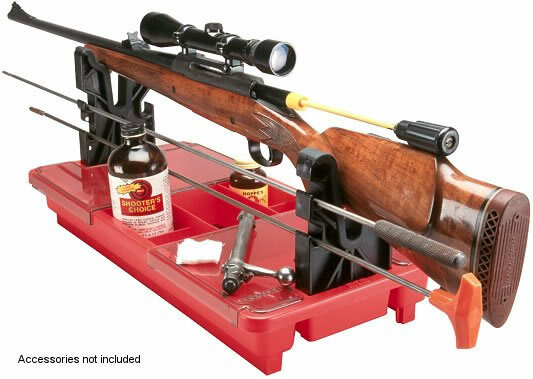 MTM's rifle and shotgun maintainence center is designed to be brought to the range for easy cleaning of rifles or shotguns and works in tandem with the Case-Gard Shooters Accessory Box(#A-760-40). The RMC-1 will fit conveniently on top for transportation. The rubber overmolded padded forks pop out and can be stored in the base along with your cleaning supplies. Size :23 1/4" x 3 1/2" x 11"